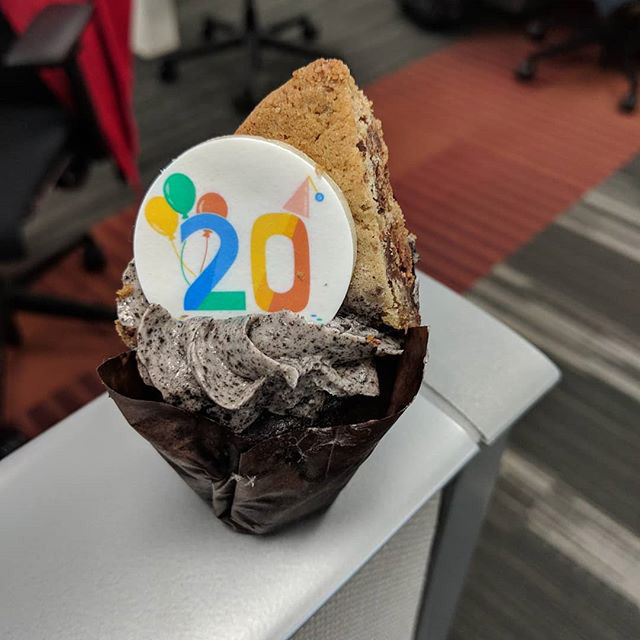 Today is Google's 20th birthday and Google was already serving ice cream and cookies yesterday to celebrate in the office. Here is a photo from Instagram of a 20th birthday cookie and ice cream cone from the Google office. Kenneth Ford who posted this photo wrote "Happy 20th birthday @google #teampixel"